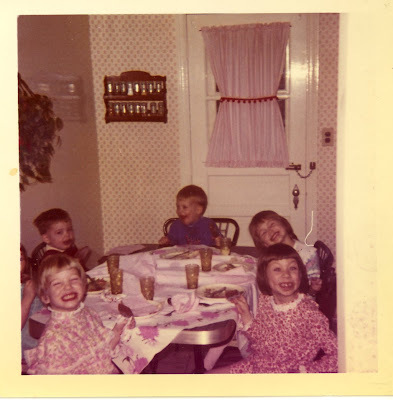 Jenny Jen42: In Memory of Sitting at the Kiddie Table! In Memory of Sitting at the Kiddie Table! Happy Thanksgiving Everyone! !1 I had to post this pic of my siblings, cousins and I at our Grandparents house...way back when. In memory of sitting at the kiddie table! Thanks for all the good laughs and times!